One of the sluggish, paywall pages at Handelsblatt Global Edition. Germans are great at exporting heavy machinery, yet lackluster at exporting soft culture in form of professional, news media publications in English. There have been some, partly lovable attempts from German media companies, to establish and attract a global audience in English. So far, only Spiegel International can play with the big boys in term of reach and relevance. Once up and running was Berlin Worldwide in the early 2000s, but Springer pulled the plug after the numbers didn’t add up. Bild, Germany’s biggest tabloid, tried as well and pulled the same plugs after a few years – it can’t even be found in the archives. 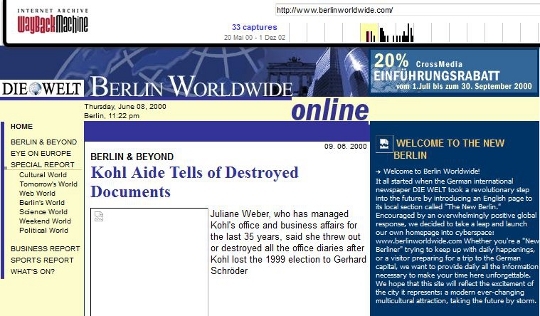 A former title page of Berlin Worldwide in the Waybackmachine. Then there’s The Local, run by Swedes, doing digital only news with a solid run. 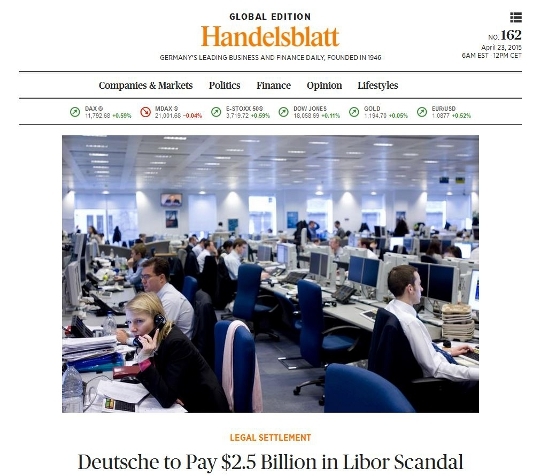 Just recently, Handelsblatt launched it’s English edition into a paywall and is gaining some traction. The idea itself is unique, since there isn’t one notable business media staple, Made in Germany, in the world’s lingua franca. Personally, I think it’s a bit too patriotic, which in itself is worth a century of dissertations, what it means to be a patriotic German, or better European. At least it’s possible to do big global business without guilt, by exporting heavy machinery, which includes tanks and guns. Technically the site is pretty sluggish and could see some usability updates. Then there’s ZEITmagazin’s „Berlin State of Mind“ print only cultural read, which launched in 2013. Funny that a Hamburg-based media company needs Berlin as it’s tag line. I think it’s the most ambitious soft culture zine about and from Germany out there. Glossy, yet with a solid editorial focus on photography and aesthetics. Too bad, you can’t really find it on the Interwebs or order it for English speakers to understand. Last but not least, there’s Deutsche Welle, pretty much a force funded political arm of the German Foreign Ministry, albeit in 30 languages and ad free! I wonder whether German culture isn’t made for a truly global read. If you look at The Economist, BBC or The Guardian, who’ve had a head start in terms of language competence, as well as some notable Empire experience, the Brits are clearly the true global media players. I think US publications are too America-centric and lack a certain cultural sensibility that drifts away from I’m a fifth Irish or NBA world championship rings. Maybe a truly European global voice is needed, one that transcends borders, knowing that planet earth is tiny, yet embraces local patriotism with years of experience, unhurried and diverse, with the tightest data privacy, football and olives in the world.